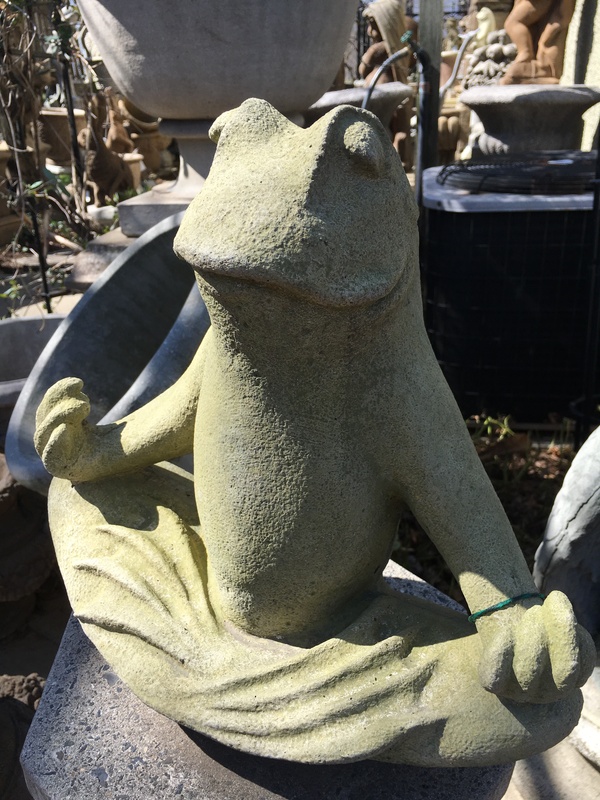 With the coming of spring and everyone’s thoughts turning to the outdoors, we thought it proper to write about a store that has inventory that has your garden in mind. 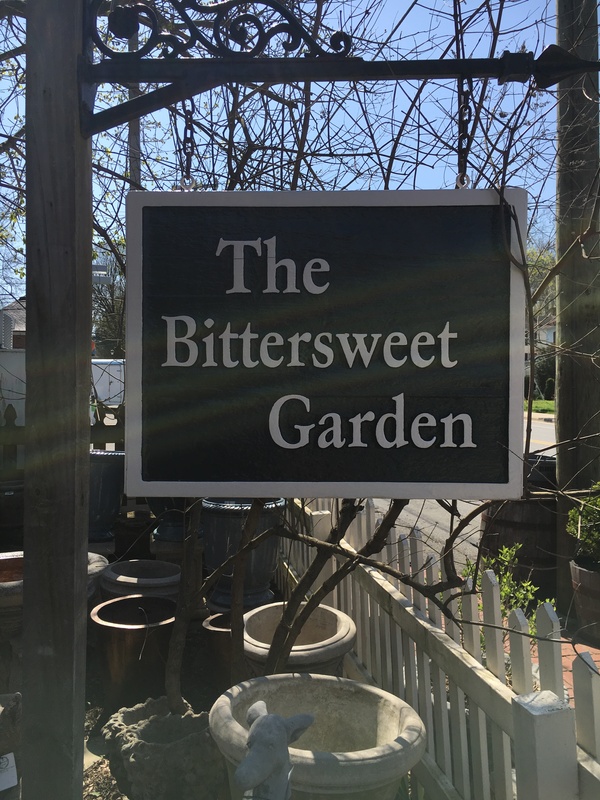 After 30 years of delivering Old Town Criers to The Plains, Virginia, I thought it time to write about the Bittersweet Garden shop. I met with store manager Mark Alvarez on a cool spring morning and took a tour. 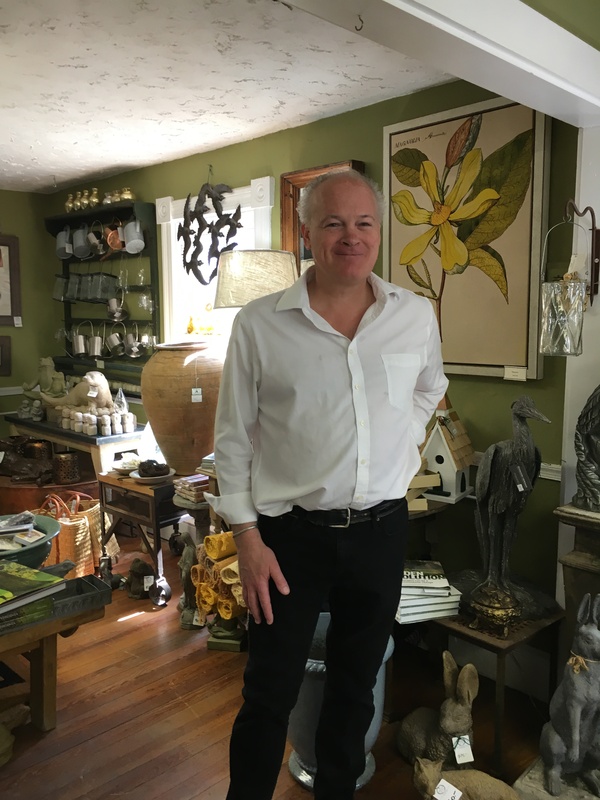 This is not a garden center like you may find in the urban areas or a mini-Merrifield Gardens but rather a small specialty store offering a variety of garden antiques, fine statuary and accessories for the home and garden. They also stock seasonal plants and floral design supplies. Intimate is a good word to describe this store. Bittersweet began in The Plains in 1996 as a compliment to Mark and Nicole Seiss’s landscaping business. Mark and Nicole, who is Mark’s sister, convinced her architect brother to run the store for them. Bittersweet has been an integral part of the small town of The Plains ever since. “We are pretty busy from spring to Christmas,” Alvarez tells me. “As spring turns into summer, the action out here picks up,” he says. “With the farmers market, polo, and steeple chase races, the people begin to arrive.” Although the majority of their clients are locals, with the influx of folks driving through this quaint little burg, business has a way of increasing during the high seasons. Mere words cannot describe the eclectic inventory in and around this this fun store. I am hoping that the photos accompanying this column are literally worth a “thousand” of them. You can find everything from high end scented candles and note cards to regal statuary fit to adorn the entrance to an estate. 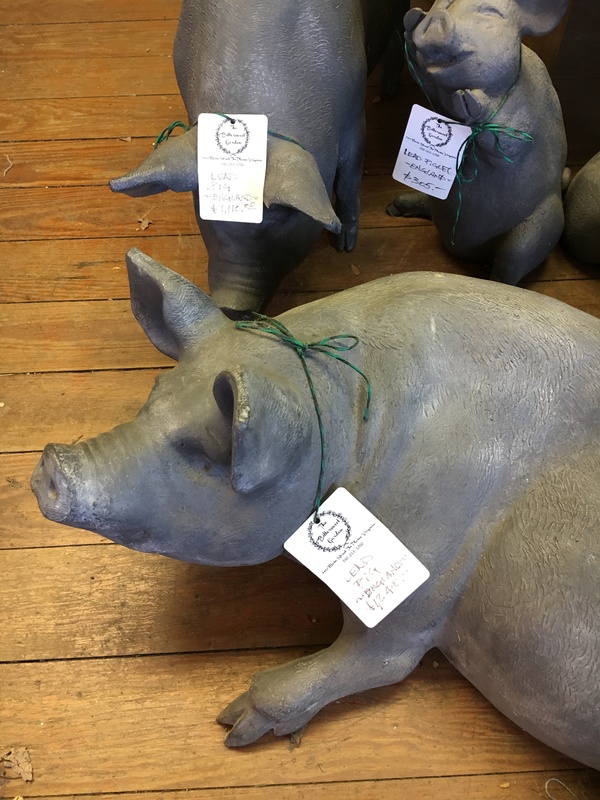 If you are a collector of frog, bunny, fox or pig paraphernalia – or know someone who is – this is the place for you. “I like helping our clients pick out what they might need,” he says.” With my architectural background I can help by using my sense of scale.” If you come and shop bring a proper vehicle as they do not deliver heavy pieces. “We have never had a problem loading people up,” Alvarez says. The land scape business, called Land Designs LLC, places an emphasis on local work with a goal of understated elegance. Their pieces in the store mostly come from Virginia, Maryland and Pennsylvania with the bronze and lead pieces coming from England. Bittersweet is open Wednesday through Sunday from 11:00 am to 5:00 pm and by appointment on Monday and Tuesday. Make an afternoon of it and take a trip to The Plains. Besides Bittersweet there are a few other shops, some nice restaurants and a fun coffee shop not to mention it is on the way to several great wineries.